Treat your club members like the hard-working stars they are when you use the Soccer Stadium Club Flyer! This well-designed template boasts a stadium lined with national flags and filled with fans for a night game. Eighteen lines are ready for you to customize. 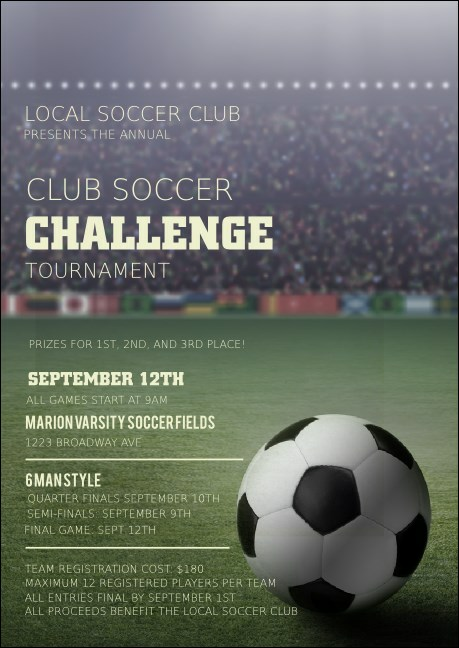 Put your team front and center with the right club flyer from TicketPrinting.com!